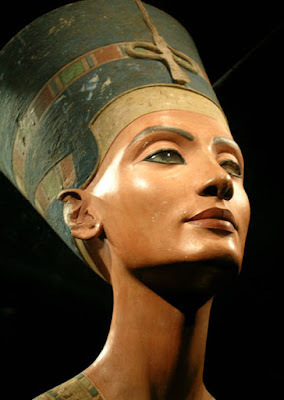 Oh gosh- When I read that, I got the poems "Wee Willie Winkie" and "Queen Nefertiti" mixed up and I thought "Queen Nefertiti stalks through the town, upstairs and downstairs in his nightgown." No self-respecting queen would go outside in a nightgown! The Ark should definitely be on that list. So should the Fountain of Youth.